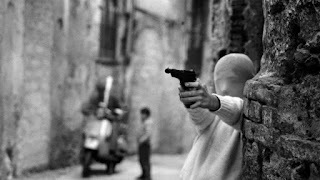 The Mafia's assassination of two crusading judges was not well-covered in the drive-by media (big surprise), but photographer Letizia Battaglia witnessed and documented those tumultuous times in Sicily first-hand. She lived to tell the tale in the documentary Shooting the Mafia. Exclusive Criminal Element review now up here.